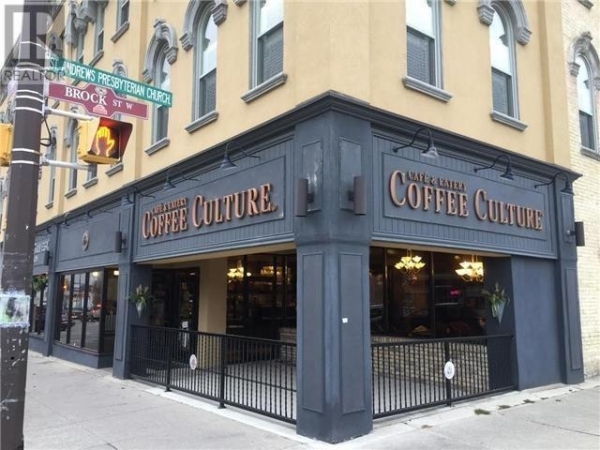 Famous Franchise ""Coffee Culture"" In Tillsonburg. Corner Store In The Core Of Downtown ""Turnkey"" Base. **** EXTRAS **** Rent 3,227/Month T.M.I. ($692M) Included. Approx Average Annual Sales Over The Past 11 Years Is $590,500. 0 Sq.Ft. 10,000.00 Sq.Ft. 20,000.00 Sq.Ft. 30,000.00 Sq.Ft. 40,000.00 Sq.Ft. 50,000.00 Sq.Ft. 60,000.00 Sq.Ft. 70,000.00 Sq.Ft. 80,000.00 Sq.Ft. 90,000.00 Sq.Ft. 100,000.00 Sq.Ft. 120,000.00 Sq.Ft. 140,000.00 Sq.Ft. 160,000.00 Sq.Ft. 180,000.00 Sq.Ft. 200,000.00 Sq.Ft. 240,000.00 Sq.Ft. 280,000.00 Sq.Ft. 320,000.00 Sq.Ft. 360,000.00 Sq.Ft. 400,000.00 Sq.Ft. To Unlimited 20,000.00 Sq.Ft. 30,000.00 Sq.Ft. 40,000.00 Sq.Ft. 50,000.00 Sq.Ft. 60,000.00 Sq.Ft. 70,000.00 Sq.Ft. 80,000.00 Sq.Ft. 90,000.00 Sq.Ft. 100,000.00 Sq.Ft. 120,000.00 Sq.Ft. 140,000.00 Sq.Ft. 160,000.00 Sq.Ft. 180,000.00 Sq.Ft. 200,000.00 Sq.Ft. 240,000.00 Sq.Ft. 280,000.00 Sq.Ft. 320,000.00 Sq.Ft. 360,000.00 Sq.Ft. 400,000.00 Sq.Ft. 4,800,000.00 Sq.Ft.